Ooh. That's a tough question. The only way I can answer it is I can't stand a liar and this is the quality I see the most in me. You won a copy of Divergent! I have e-mailed you. You have 48 Hours to respond. As I'm sure some of you astute Squeakers may have noticed, this is technically NOT the book that got the highest amount of votes. It tied with Die for Me. But (foreshadowing!) 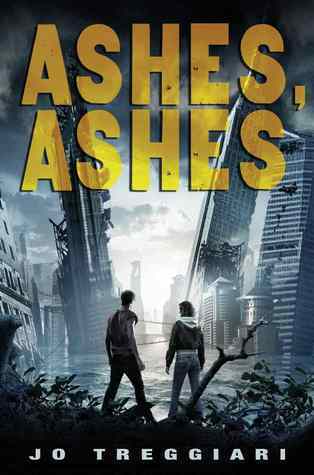 I'll be giving away a copy of Die for Me later this month, so I made the executive decision and chose Ashes, Ashes. Check back later tonight to see May's featured upcoming releases! We got some good ones! Woo Hoo! I am so excited. Thank you! Ooh..I have to work on my comments. That one didn't sound right. LOL. Thanks again. Oh my gosh!! I'm so super- excited!! I've been waiting for this book for such a long time-- it looks amazing-- and now you're giving one away!! Yay! !